Metal Detectable Safety Knife - Boxer B700M The Perfect Cutter for Cardboard and More Companies in the food and pharmaceutical industry face a huge risk everyday; contaminants entering the production process. Contaminants can lead to serious damage to machines, product recalls and injuries to customers. All of this results in high costs and a potential loss of image that shouldn’t be underestimated. These situations can be avoided by using metal detectable knives. Metal detectable knives can be traced by metal detectors and special X-ray machines which may already be in operation within your business. By using these types of knives, there is very little risk that any products will be contaminated and will leave your production site without causing any serious cost implications. 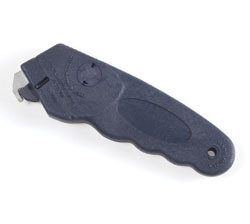 The Boxer B700M "Box Cutter" safety knife is a revolutionary and unique breakthrough in the field of safety knives. It is directly targeted at the most common uses for knives… the cardboard box. The B700M incorporates the spring-loaded Vari-Guard, which protects and retracts when knife is in use. 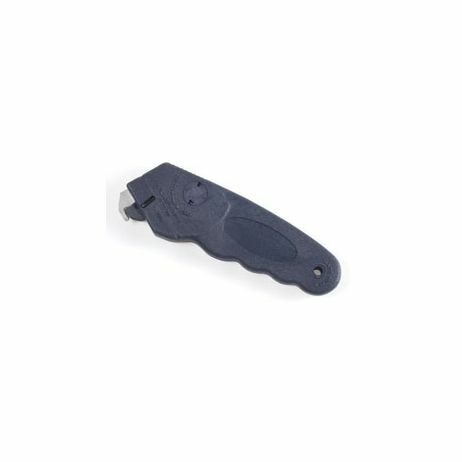 For added safety the B700M comes with Security Key to prevent blade change by workers the production or process room floor. These knives are also ambidextrous for use by everyone, and are designed with a hook knife just above the blade for added protection but also to easily penetrate tape, cardboard and to cut through box straps and tape.